Tried to hike the Rho Creek Trail (#???) based on some postings on the trail advocate website. 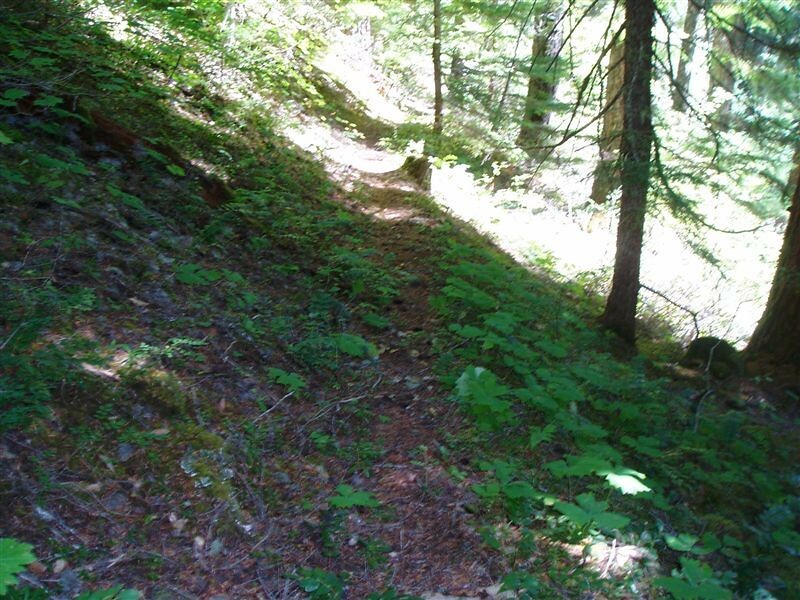 Apparently, this trail has been officially abandoned by the USFS, but there is at least one person who thinks it is worth trying to salvage, so he has been working on restoring the trail. According to the USFS description, this trail is about 4.2 miles long. 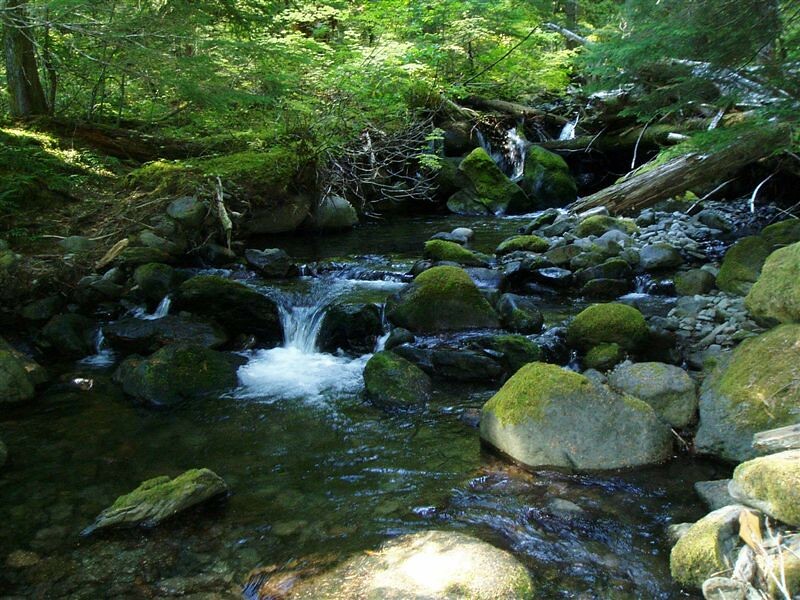 It goes between FS roads 4671 and 4672, and gains about 1100′ in elevation over the 4 miles, and parallels Rho Creek. I started at the bottom end of the trail, and tried to find the trailhead based on the descriptions. I tried a few things, and got a little disoriented, and decided that was enough. I ended up going up to the top end of the trail, and finally found the trailhead off road 4672 at the top of a relatively new (10 years old or so) clearcut. Travelling down through the clearcut was interesting, it was tough to follow the trail. Once I got to the bottom of the clearcut, I followed the edge, looking for a trail into the woods. I ended up following a creek to try and find Rho Creek, which the trail was supposed to go along. It took me about 45 minutes of cross country hiking to find the trail, and it wasn’t right next to the creek, but up a hill a bit. I knew that if I followed the creek I wouldn’t get lost because I could always follow it back out. I was just about reaching my “I’m done” threshold when I saw what looked like a trail. I ended up hiking down the trail about 2 miles or so. It follows the creek, but is far above it most of the way. The hillside/canyon is very steep down to the creek. The trail goes in and out of forest, mostly with a thinner canopy, and also through a couple of sidehill clearcuts. Lots of downed trees (understandable since the trail is no longer maintained), although one downed tree had a “94” carved in the trunk, so I’d guess that was the last time it was cleared. All in all an interesting and adventuous day of hiking. Probably hiked 5 miles or so, but over a mile was cross country, so it was a pretty good workout.